Welcome! We hope to see you at our Sunday service: 9:15 Life Groups; 10:30 Morning Worship Celebration. We also have a Wednesday Evening Bible Study at 6:45PM. Sunset Hills Baptist Church is affiliated with the Southern Baptist Convention. We focus on Christ-centered music which is a blend of traditional hymns, current Praise & Worship music with special music ranging from classics to contemporary Christian. While Pastor Jim prefers not to use the term "preaching" (though it is a biblical word) because of stereotypes, he teaches the Bible verse-by-verse, expositional and exegetically. The key here is "teaching" with an emphasis on application and understanding; if people cannot understand Scripture and apply it to their life, their time has been wasted! We believe whether we are singing, learning, being with our families or working, it all is the worship of Jesus Christ! 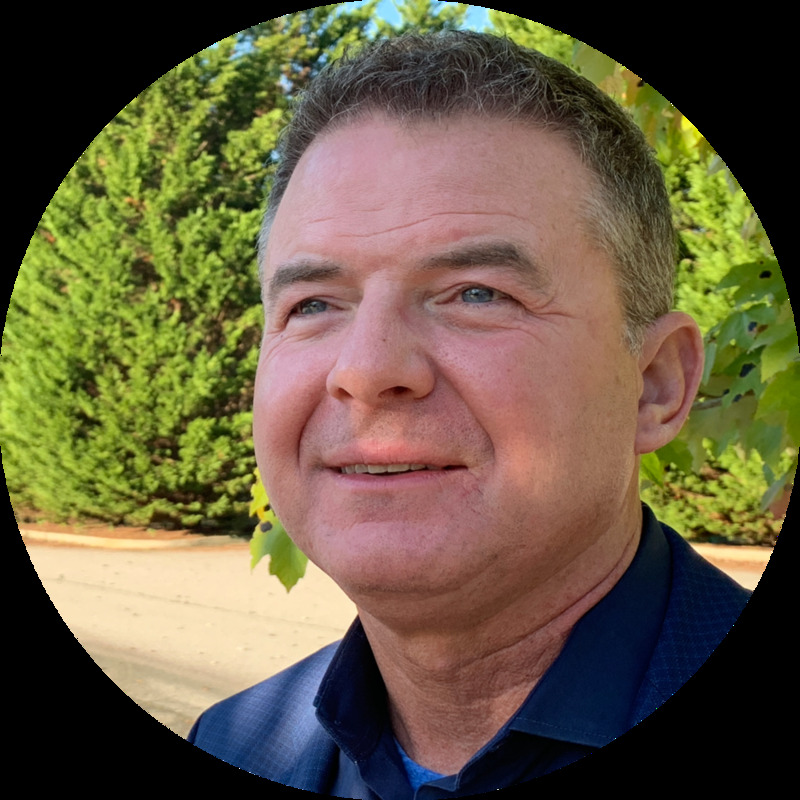 Jim Grieme has been in the ministry for over 23 years serving as Pastor in Wyoming, Missouri, Illinois, North Carolina and here in Douglasville since 2011. Jim’s first degree was Acting and Interpretive Speech which gave him a passion for communication. After leaving college, he managed retail clothing and jewelry stores in North Carolina, South Carolina and Georgia working for two Georgia retail mainstays of the 1980’s and 1990’s: Zachary Clothing stores and Savannah’s Friedman’s Jewelers. After returning to finish degrees in history in South Carolina, the Lord moved Jim to a place where he submitted to the Lord’s leading and surrendered to the call into ministry. He completed his Master of Divinity and worked on his doctorate at Southeastern Baptist Theological Seminary in Wake Forest, North Carolina. Jim and Frances have been married since 1984—a testimony to God’s grace and Frances’ patience! Jim and Frances do not have any children, but their cats allow them to leave the house occasionally. Jim’s passion is the communication of God’s Word, so it can be applied to people’s lives. He teaches in an expositional, exegetical manner which sometimes referred to as “verse-by-verse.”Jim seeks to engage people’s hearts and minds, often through the use of humor, always seeking to emphasize Jesus Christ throughout the teaching of Scripture.